"The administration's sine qua non for the conference was the preservation of an independent Samoan nation under the leadership of a king of the people's own choosing. Harrison and Blaine also instructed the American delegates to resist any agreement that dero­gated U.S. rights at Pago Pago. Moreover, they should guard against any move by the other powers to dominate Samoa. Such dominance would threaten the interests of the United States, especially its grow­ing trade with the East, which was bound to develop even more with the eventual opening of a ship canal through Central America. Harri­son regarded an earlier Cleveland administration proposal, which called for the three foreign powers to name a cabinet of three secre­taries for the king, as 'not in harmony with the established policy' of the American government. Still, he promised to 'give weighty con­sideration to whatever plan the conference may suggest.' In the end, he accepted what amounted to a joint protectorate over Samoa, exercised by the United States, Britain, and Germany. "By mid-June, the conference put the finishing touches on a settle­ment, known as the General Act of Berlin. Designed to check international rivalry and ostensibly secure Samoa's independence, the act was an assumption of sovereignty in all but name by the three powers. It restored King Malietoa Laupepa to power, but it also provided for the three powers to appoint a chief justice, the presi­dent of the municipal council of the port city of Apia, and other officials. The act also instituted a variety of taxes, including import and export duties, license fees, and capitation levies. "It was a momentous step. The administration had halted Ger­man expansion, but never before had the United States accepted responsibility for the government of a people beyond its own conti­nent. Equally extraordinary, the United States found itself in the sort of 'entanglement' with European powers that for a century it had steadfastly shunned. 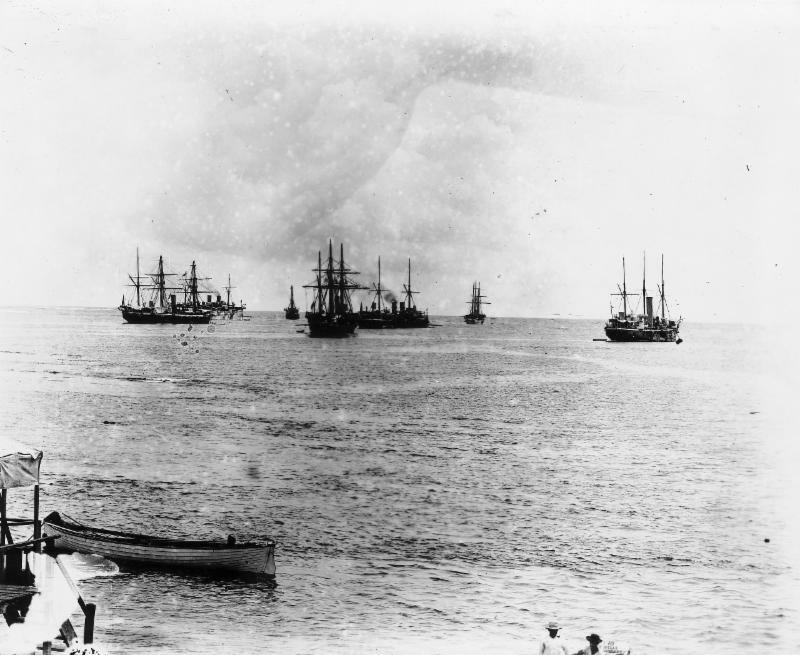 Nonetheless, Blaine was ecstatic over 'our complete success at Berlin,' and Harrison hoped the act would be 'productive of the permanent establishment of law and order in Samoa.' Unfortunately, the diplomatic triumph fell short in imple­mentation. The powers had difficulty finding suitable persons to fill the posts of chief justice and municipal council president, and the natives resisted the regime. Britain, Germany, and the United States had to keep warships present to ensure the enforcement of the chief justice's orders and the collection of taxes. By 1899, the situa­tion had grown so irksome that Germany and the United States agreed to divide the islands between them."